Four was the magic number yesterday as Wellington United kicked off their 2019 season with games in New Zealand’s oldest women’s trophy competition, The Kelly Cup. 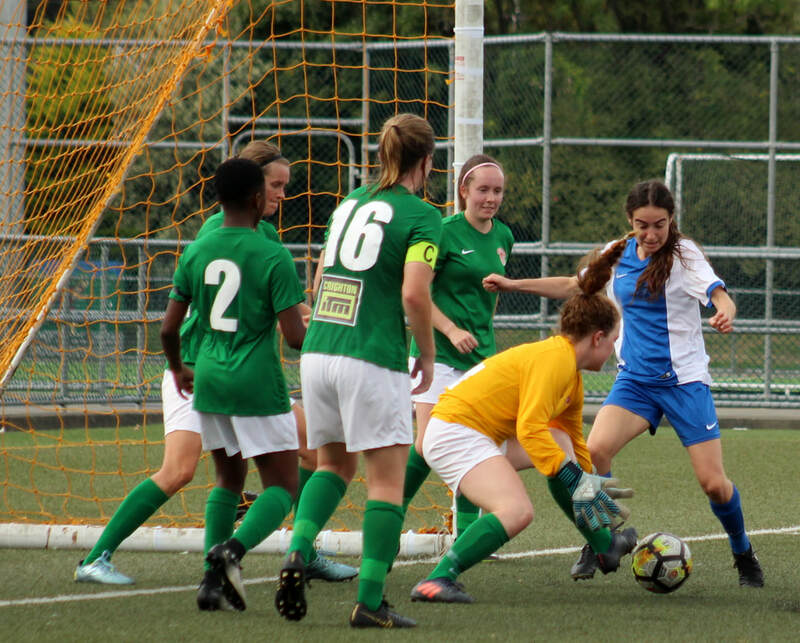 The Diamonds started their defence of the trophy with a comfortable 4-0 win over Wairarapa United, while the a depleted Sapphires side, playing in the competition for the first time since 2013 went down 4-1 to W-League side Victoria University. Wairarapa United were the Diamonds closest competitor last season, finishing second to them in the league and being the only team that managed to take points off them in a 3-3 draw. Diamonds coach Guille Schiltenwolf knew that Wairarapa would press them and put the pressure on, so made the intensity and communication a focus of the Diamonds game. After a close first half this payed off in the final five minutes when some lovely build up play from United resulted in Charlotte Wilford-Carroll opening their account and making it 1-0. Wairarapa United coach, Paul Ifill, was pretty happy with his team's first half performance and felt they were unlucky to go in to the break 1-0 down. The second half he described as a disaster, largely due to two significant injuries. The first to keeper, Courtney Norman who made a brave save at the feet of Diamond’s Jemma Robertson. Wairarapa had no reserve goalkeeper so Centre Midfielder, Flo McIntyre put on the gloves and while at times appearing to have that rabbit in the headlights look, she performed well including pulling of a great save tipping the ball over the bar. The second was what looked like a serious ankle injury to the influential Anna McPhie. Despite the injuries Wairarapa still pressed, but it was the Diamonds that asserted their dominance and made the game safe with two goals in two minutes. The first came from an Emma Main corner, when the ball pin-ponged around the 6 yard area before Liz Crowe stuck it in the net. A minute later Nat Olson latched on to a through ball from Emma Main and slotted home easily to make it 3-0. Kelsey Wilkinson completed the scoring and the game finished 4-0 to the Diamonds. Coach Guille Schiltenwolf was particularly please with Wilford-Carroll’s goal saying “it can from the way we want to play” He also singled out debutant Sam Wooley for a fantastic display saying the 15 year old fitted in like she had been in the team for years. At Petone Memorial, The Sapphires, who were depleted due to several players playing in guest roles at the Auckland U17 tournament, went down 4-1 to W-League Victoria University. They weren’t helped when their keeper got injured before half time and having no subs on the bench meant they had to play the rest of the game with 10 players. Sophie Smith scored their goal.